Good Friends in So Big! The two are usually found playing characters caught up in the throes of a love triangle (e.g. The Rich Are Always With Us, Housewife, Jezebel, The Old Maid, The Great Lie, In This Our Life). Sometimes the triangle becomes deadly (Jezebel, In This Our Life) or afflicted by death (The Old Maid) or near-death (The Great Lie). Sometimes the two are casts as husband and wife (The Golden Arrow, Dark Victory) with complications, sometimes humorous, sometimes not. Other times, they are cast as friends or friendly (So Big!, Front Page Woman, Special Agent) peaceably and not so peaceably. Every time, there’s no mistaking the level of comfort they share opposite one another. Bette Davis wasn’t in the movie, “So Big.” That was Barbara Stanwyk with GeorgevBrent. Bette Davis was in the 1932 version of “So Big!” along side Barbara Stanwyck and George Brent. Miss Davis plays the role of Dallas O’Mara, the artist being courted by Hardie Albright, who is in the role of Dirk De Jong. In the 1953 “So Big,” Nancy Olson assumes the role played by Bette Davis to Steve Forrest’s Dirk DeJong. 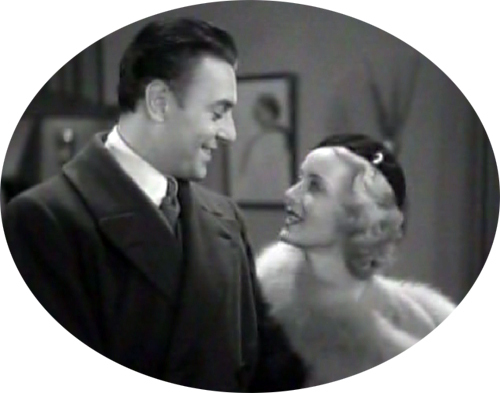 Jane Wyman and Walter Coy take on the roles Ms. Stanwyck and Mr. Brent play in the 1932 film. Yes she was. She played “So Big’s” adult friend. Ms. Stanwyck played his mother. Bette Davis made more good to excellent movies than anyone else in the 30’s & 40’s. George Brent was in many of them. Right now I’m sitting here watching one of them, Old Maid. After all these years they’re still so entertaining. Just bought Old Maid and watched it this evening! Best actress ever, the original Meryl Streep, always another persona in every movie, always bigger than life. My top 10 favorites or recommendations, although there are so many good ones! Love all on your list and in practically the same order!!!! I have about half of their films and have never been let down. Together they are hypnotic. Love watching old movies on TCM and these are my favorites, especially Dark Victory. Omg! Bette Davis my favorite actress of all times! Her acting was spectacular!